GARY Valenciano closes 2011 with his pure energy as he frontlines Eastwood City’s countdown to 2012 on Dec. 31 (Saturday) in a grand musical event that will happen at Eastwood Mall Open Park. 2011 proved to be a very fruitful and blessed year for Gary V as he scored numerous victories both here and abroad. For the past year, Gary V has once again conquered the hearts of his fans around the world in his successful trips to Korea, New Zealand, Malaysia, USA, and Canada. It should be noted that Gary is the only Filipino artist along with sons Paolo and Gabriel – Paolo a rising singer (tapped to frontline Rivermaya in select concerts this year) and Gab being an award-winning dancer and record producer – who performed in the 50th anniversary live concert of CBN in Virginia Beach, USA. Here in the Philippines, it can be recalled that Gary opened the year with a record breaking concert to launch his new fragrance line with Aficionado in “1@11” with Charice Pempengco, performing to a mammoth 60,000 crowd. Gary’s CD “Replay” under Universal Records was awarded a Platinum Record Award for its outstanding sales while his “With Love, Gary Valenciano” CD under Star Records – a compilation of the movie and teleserye theme songs he performed and recorded over the years – has currently reached Gold status. Aside from inspiring the nation every week and leading the party on “ASAP Rocks,” he had a TV special which marked his 28th anniversary in the business. The special is a spin-off of his successful “With Love” CD and it was directed by Johnny Manahan. “With Love, Gary Valenciano” had such positive feedback that ABS-CBN replayed in on MYX five times. Another notable milestone that happened this year is the recent alliance that Gary V forged with M Lhuillier. He was also honored by Anak TV Seal as he was awarded its coveted Hall of Fame Award for consistently landing on the Top Five slots of the child-friendly television personality survey for the last seven years. Gary capped his humanitarian activities for the year with UNICEF in their recent trip to Cagayan de Oro and Iligan to reach out to the victims of typhoon Sendong. The New Year’s countdown in Eastwood culminates Gary’s artistic odyssey for 2011. The show kicks off at 6p.m. with performances by The Dawn, Amber Davis, Urbanation, Philippine All-Stars, and Billy Crawford. The main event features Gary with Paolo Valenciano, Adlib Dancers and Gabriel Valenciano, with Mon Faustino as Gary’s Musical Director. Fans and music aficionados can look forward to an unforgettable evening of pure energy with Gary V as he dishes out his greatest hits culled from his catalogue of multi-platinum albums as well as some of today’s hottest chart-toppers, and homegrown favorites while they all party and welcome the arrival of the New Year! “2011 is truly a great year! There are so many things to be thnkful for. I have been blessed with a very good year and I am looking forward to a bigger and brighter 2012,” says Gary. 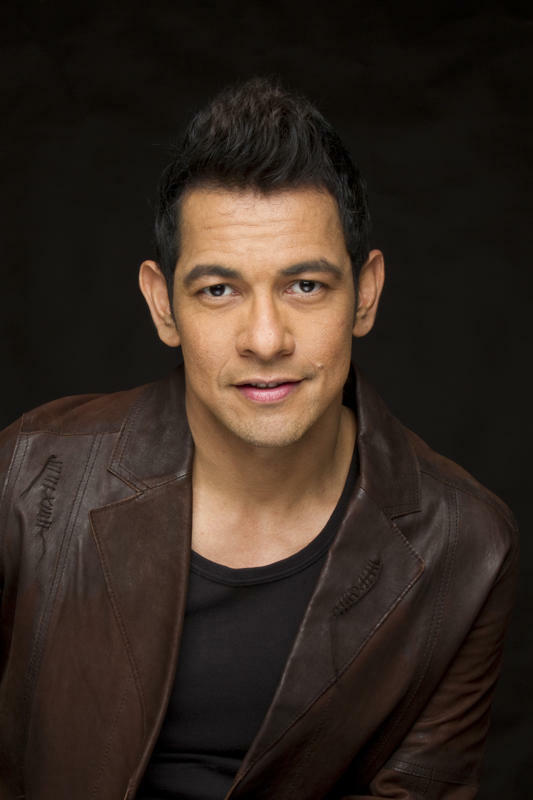 For 2012, Gary V fans can look forward to a new full-length studio album, more innovative and energy-packed concerts, and possibly his much-awaited comeback to the silver screen in a full-length feature film. “I believe that anything can happen and I am very excited with all the great and wonderful possibilities that are in store for us in 2012! I am geared up to face 2012 and see what The Lord has in store for all of us,” says Gary.